Liquid brilliance, ornate mold design, and pure Yankee ingenuity could best describe the Blown Three Mold glass produced in America during the first half of the 19th century. So what is Blown Three Mold (also commonly referred to as BTM)? 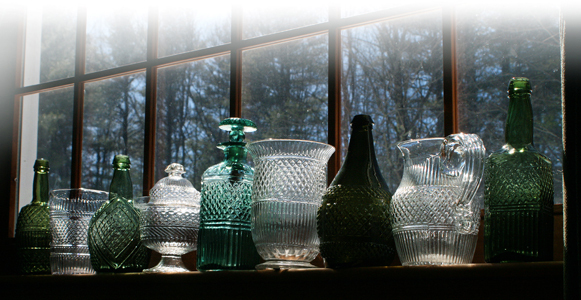 It is a mold-blown process developed as an inexpensive alternative to the Anglo-Irish cut glass being imported into early America. Three-piece hinged molds were produced with intricate patterns very similar to cut glass, and a high-quality (usually flint) glass was blown into these molds.